Sheryl Morace-Mikel, owner of Diversified Investments, provides a variety of financial services including asset management and investment recommendations. Areas of knowledge and experience include personal financial services, retirement, pension, college and estate planning. Sheryl has the Certified in Applied Finance and Economics designation. She has been professionally active in financial planning since 1990. 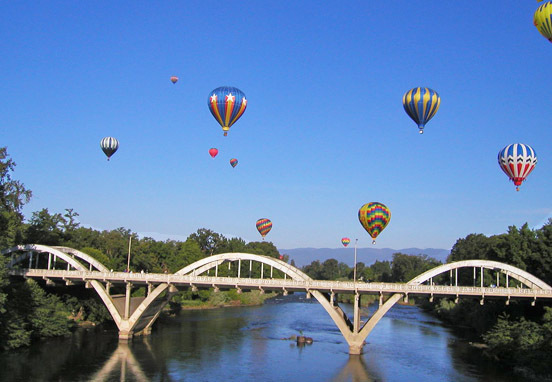 She has lived in the Southern Oregon area for over forty years. Sheryl obtained a Bachelor of Science Degree in Economics from Southern Oregon University with Economic Honors Omicron Delta Epsilon and a Minor Degree in Business Management. She has completed the FINRA series 7 and 63 security examinations and is licensed as an insurance agent for life, health and variable annuities. Sheryl is a Registered Principal of Cadaret Grant, Inc.
Sheryl believes in active monitoring of portfolio performance. Portfolios are monitored by employing investment disciplines such as solid financial analysis, adhering to a strict valuation methodology, economic and demographic trends in accordance with the client's income, growth, liquidity, tax, risk or other special needs. Sheryl provides a level of service that goes far beyond the purchase or sale of an investment. Her high level of integrity and dedication in helping client's achieve their financial goals are a reflection of her philosophical belief that "to succeed means to exceed the client's expectations." Sheryl will help you develop a portfolio that has the correct balance of stability and risk for your financial situation. This is not an offer of securities in any jurisdiction, nor is it specifically directed to a resident of any jurisdiction. As with any security, request a prospectus from your registered principal. Read it carefully before you invest or send money. Securities are limited to residents of Oregon, Washington, California, Arizona, Georgia, North Carolina and Michigan. Insurance products are limited to Oregon. Diversified Investments and Cadaret, Grant & Co., Inc. are separate entities.